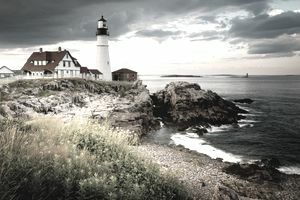 Maine residents who contribute to any state's Section 529 plan used to receive a state income tax deduction of up to $250 per beneficiary per tax return. Maine residents were entitled to multiple deductions up to the limit of $250 per child when they contributed on behalf of multiple beneficiaries—the children or dependents who will be using the funds to attend school and pursue further education. This deduction was eliminated from Maine's tax code effective January 1, 2016. If you made contributions prior to this date, you can still claim them if you haven't already done so by filing an amended return for that year. If you're looking to invest in a 529 plan in 2018 here are some of the rules. As of 2018, over 30 states do offer tax deductions for 529 contributions in state plans. Only seven states offer taxpayers a deduction for contributions to any state’s 529 plan: Arizona, Arkansas, Kansas, Minnesota, Missouri, Montana, and Pennsylvania. Maine doesn’t currently offer any special state deductions but it does have its own state-offered plan, NextGen. Since 2016, contributors are no longer eligible for Maine state tax deductions. This includes both single contributors and married couples filing jointly. However, there are still some tax advantages for contributors to be aware of. At the federal level, there is no deduction either but contributions do qualify for gift tax exemptions. 529 contributions do qualify for the 2018 and 2019 federal gift tax exclusion of $15,000. The federal government also allows for a special gift tax exclusion of up to $75,000 for a single contributor and $150,000 for married couples in a single year if they make no contributions in the subsequent five years. 529 investing rules are always changing so it is important to stay aware of new legislations and consult your financial and tax advisors regularly. Since there aren’t any specific state advantages, Maine residents can choose from plans all across the United States. This does offer a broader array of options as the federal tax advantages apply to all different state plans. It's important to weigh all the benefits of contributing to a 529 savings plan as each plan often offers its own unique features. Overall, the greatest advantage is that earnings in 529 plans grow tax free with no capital gains tax upon withdrawal when used for qualifying education. Funds can often be used for any type of education, so a 529 plan can help to fund private school education for your children as well as college tuitions. Is This Myth Going to Cost You Thousands for College?